The BMF is expanding its portfolio with a new product. 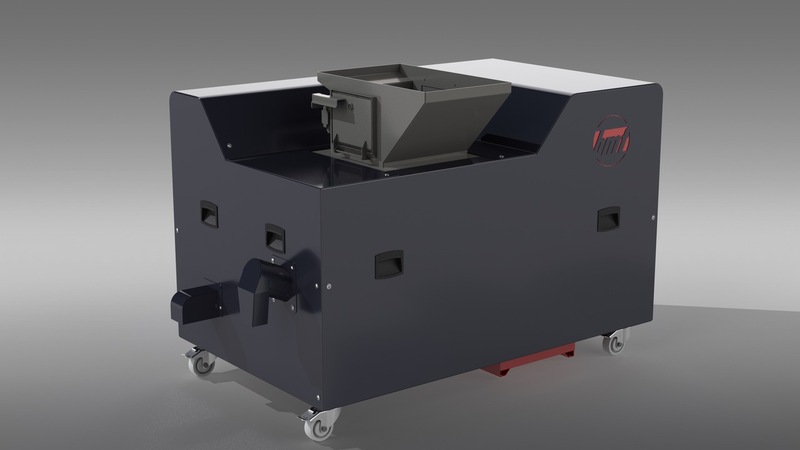 The state-of-the-art shred-packer facilitates the disposal of chips through an efficient processing and optimizes the recovery of cooling lubricant. An integrated chip breaker ensures the appropriate shredding of the chips, which are then compressed in a pressing chamber. The extreme reduction in their volume means that the wagon can stand longer prior to emptying and there is little residual moisture.